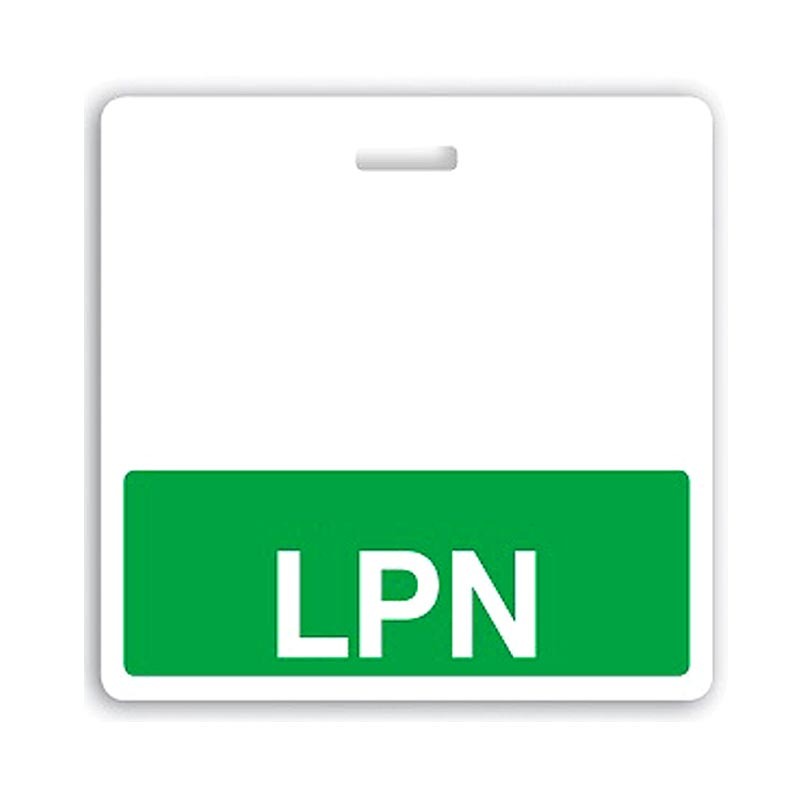 Each Badge Buddy features a large area of color and a worker's title printed in clear, bold text. 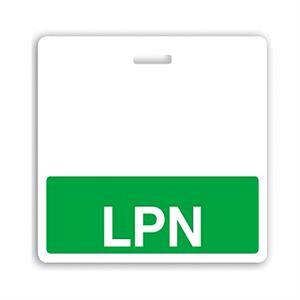 This Badge Buddy features a black color area and ""LPN"" text, making it a great Badge Buddy for x-ray technicians, lab technicians and more. Badge Buddies attach to an existing ID badge or card with a strap clip or lanyard: simply place the ID badge on top of the Badge Buddy and slide the strap clip or lanyard through the slot to create a full solution. This Badge Buddy is intended for use with horizontal ID cards.